We sell our unique hotel because of retirement. It is a spot for nature lovers. 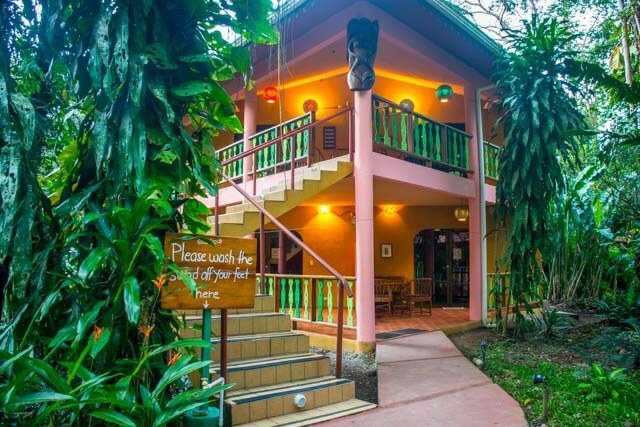 Tucked into the jungle aside the Caribbean Sea, The Goddess Garden is a magical place to connect with nature. 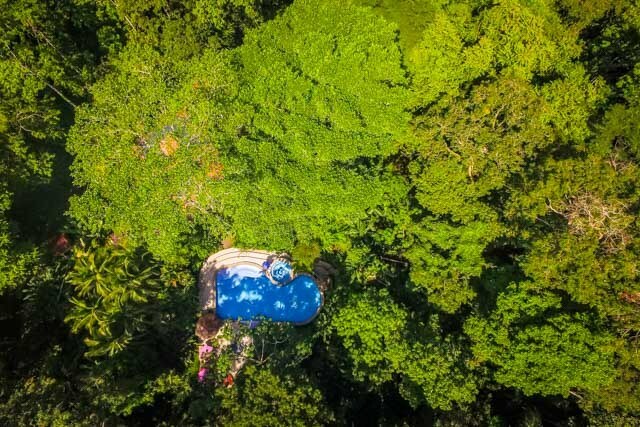 It offers 7.6 hectares of private, lush, and beautiful rain forest surrounded by tall trees, tropical flower gardens and a variety of animal life, like monkeys, sloths, coatis, armadillos, toucans, parrots, butterflies etc. 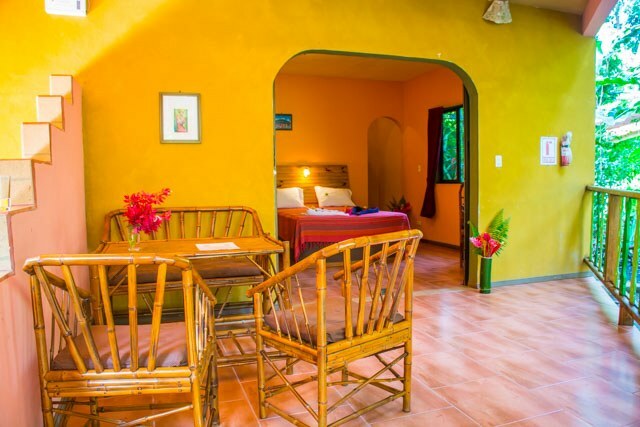 It is designed as a Yoga and Meditation Center, but it can be used as any other type of hotel, as well. It offers great possibilities to expand. Local and international art work is an important part of our facilities and can be found in the gardens and buildings. You will see the oldest and most amazing tree in Cahuita, 350 years old, with roots, as tall as a man, in reality it is a natural temple. Our large swimming pool has a Jacuzzi and massage bubbles. 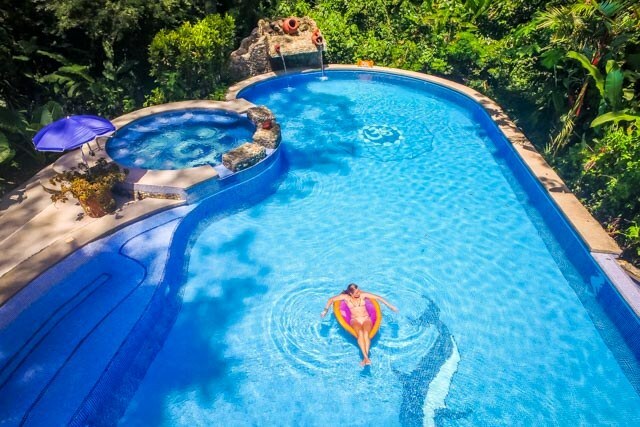 Aside the pool you can find the fully equipped restaurant with 52 seats and bar and hang out area. Four buildings contain our 16 elegant rooms. 12 are double rooms with two Queen size beds each. Additionally, we have 4 dorm style rooms with Twin size beds for 3-6 people each. 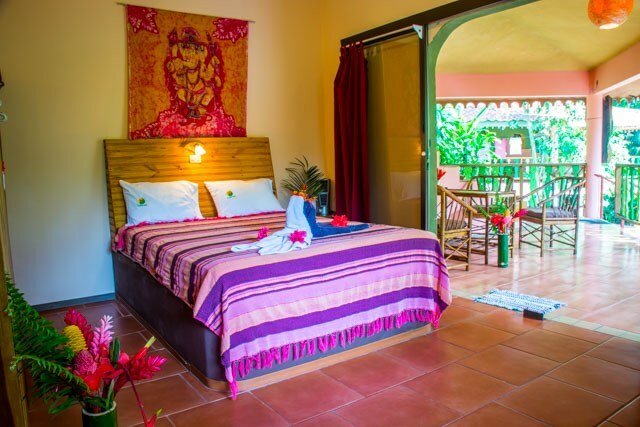 In total we can accommodate 50 persons in separate beds. 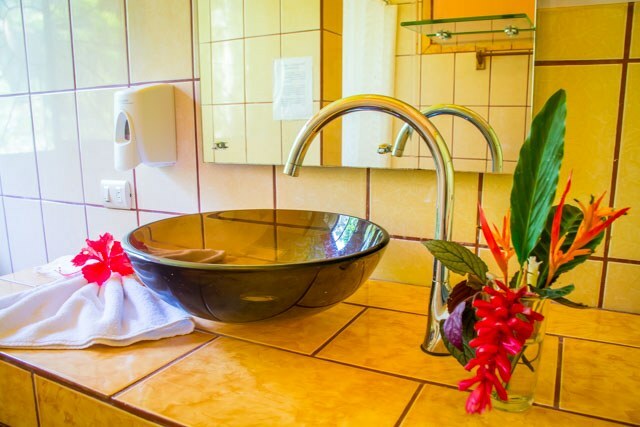 All rooms have private bathrooms with solar heated hot water. 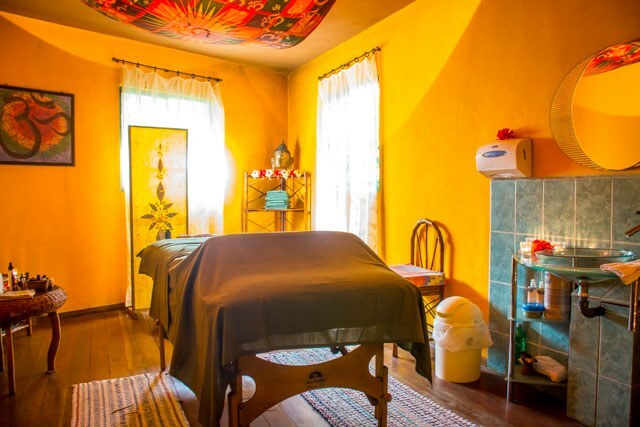 Our Spa is designed with two massage rooms and facilities for nail painting and hair braiding. A room for disabled persons is within the premises of the hotel. 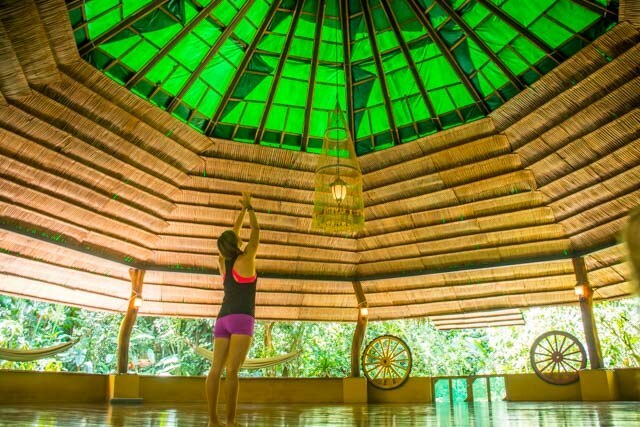 The Goddess Garden Retreat’s spiritual center has two floors, where the view of the rain-forest expands to 360 degrees. It is designed to give you a wonderful feeling, putting you in touch with nature during your sessions. 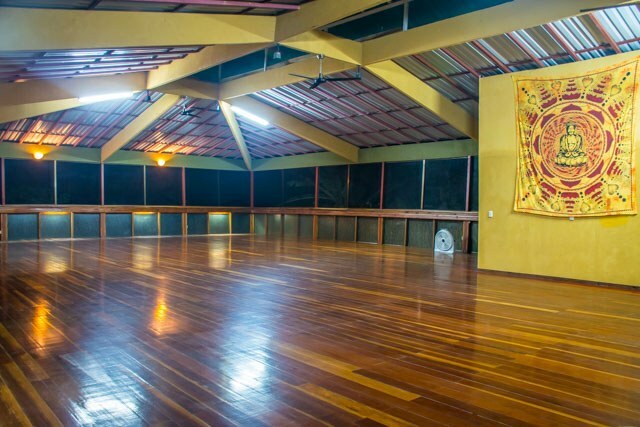 The upper space is 200 m2 (2150 square feet) with a precious wooden floor. The conference room is designed for 100 people and offers the newest audio and video system. It is equipped with air conditioning. In the back of the room, a built in waterfall with tropical plants delight the eyes. 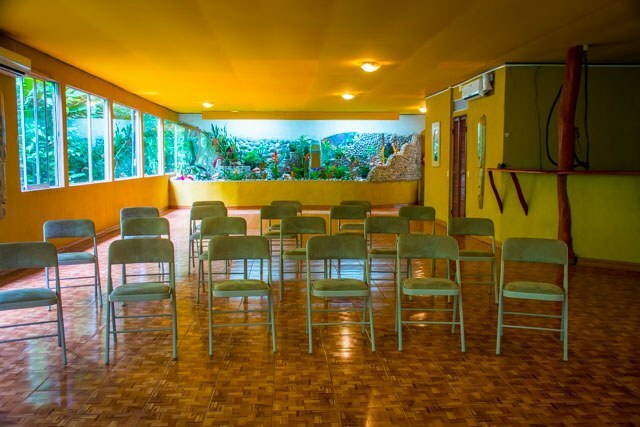 A round pavilion with wooden floor is the third space we offer for sessions, meetings, receptions and other events. 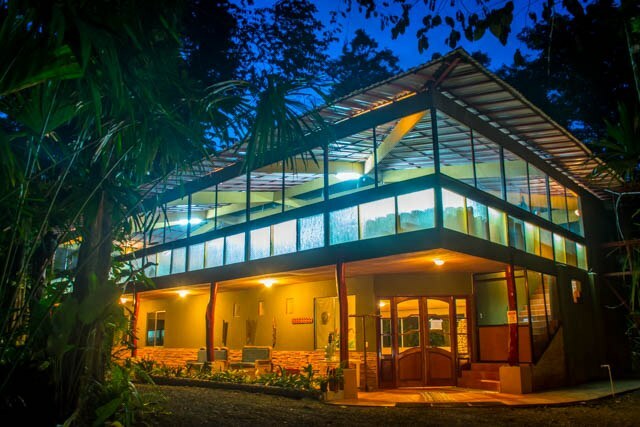 A frog pond invites for night tours to see all the wonderful colored frogs of Costa Rica. Nature is breathtaking with its flora and fauna and yet we are just aside a 15 km long pristine beach. 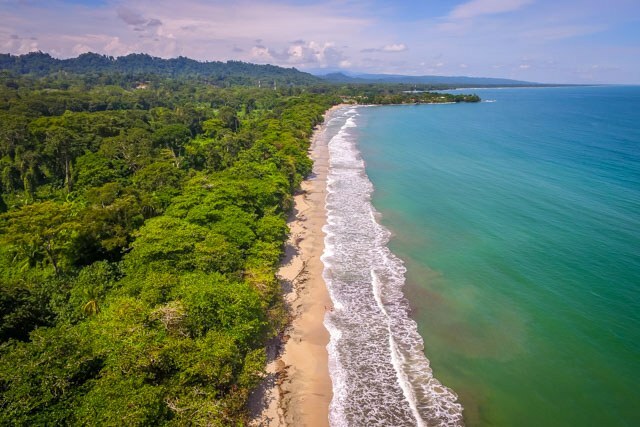 It is the perfect combination for a resort to offer pure nature, serenity, wild life, beach, Caribbean Sea and adventures excursions in the neighborhoods. All permissions and Licenses are updated. A liquor license comes with the sale. Schools and Medical Doctors are nearby. Our guests are mainly from the USA, Canada and Europe. Usually, the hotel is booked one year in advance. From the International airport in San Jose you can take a domestic flight to Limon. From there it is a drive of 30 min to the resort.